I've been living in Central Colorado since 2001. The area where I'm living is situated in the center of the state. Colorado's eastern plains are fairly desolate. 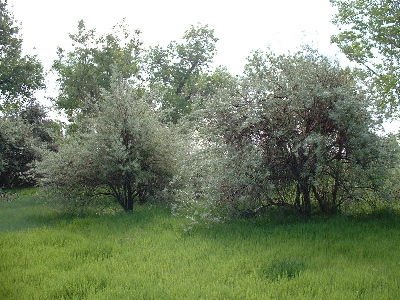 The soil conditions are so poor that nothing much grows there, aside from some scrub grasses and shrubs. You don't really see many trees until you get closser to the mountains. The area called the 'Front Range'. Here there are trees, but I haven't seen many forests. 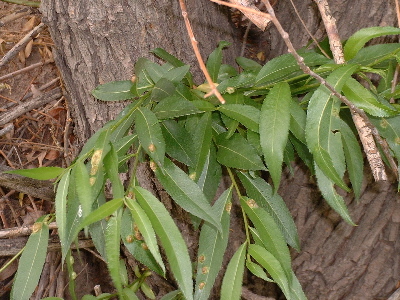 Colorado is a dry state, and as such the trees tend toward evergreens. I haven't spent a lot of time identifying trees in Colorado. I've been rather busy with work, and the lack of suitable areas around Denver has hampered my efforts. 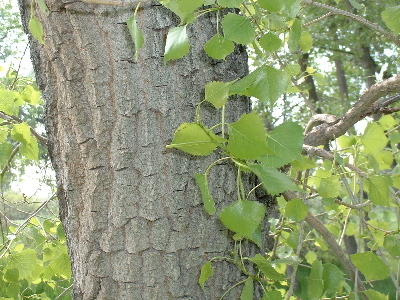 I recently located a protected area where there are some native trees. The variety is extremely limited, but I hope to make the best of the situation. A visitor requested that I take pictures of the trees I've been identifying. Hopefully, these pictures will help others, or perhaps you can help me. Maybe I've made a mistake in my identification. In either case, from now on you'll get pictures with the list. I hope you enjoy them. This species constitutes a huge proportion of the trees (over 80%) of the trees at the two parks I've been visiting. 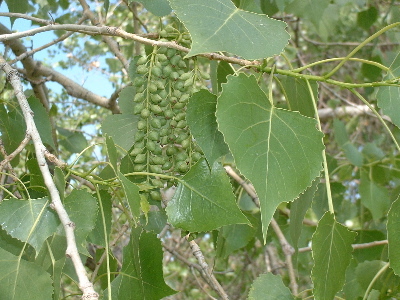 Many of the trees had unopened catkins (fruit). Hopefully they aren't struck by a blight or disease. There are a lot of animals depending on them. 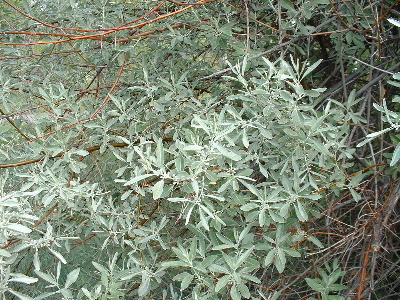 Russian Olive - Elaeagnus angustifolia L.
A many branched shrub/small tree, with spiny twigs. I'm not absoultely certain about this identification perhaps you can help. American Elm - Ulmus Americana L.
Another identification that I'm uncertain of. 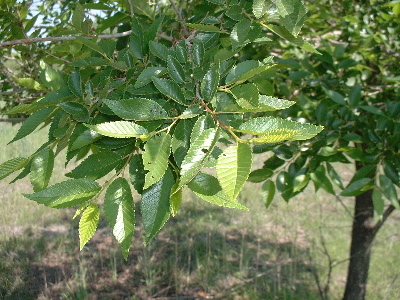 The leaves are what make me think that this is American Elm. All the trees were small (appx 8'-12' tall). 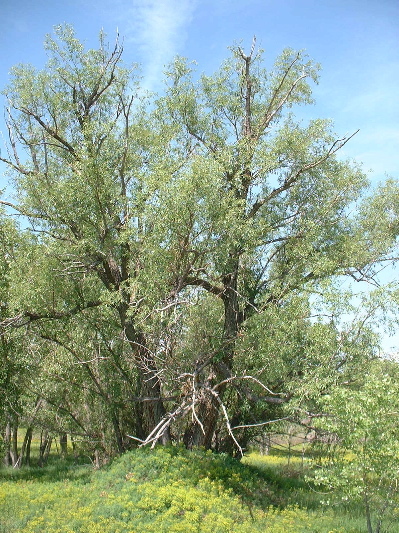 White Willow - Salix Alba L.
I found this tree on a high mound down near the river. 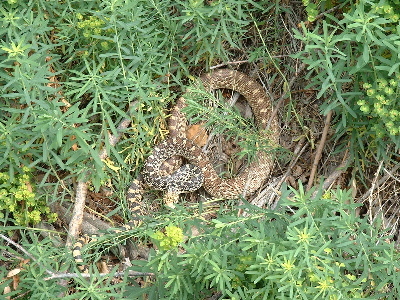 As I got closer to take pictures of the leaves, I encountered a large (6'+) Gopher/Bull snake. Thankfully they're non-poisonous. Well That's it. Not a lot, but I'll keep working on it. It's been a while since I've done any tree identifying, so I may have gotten some wrong. I like the photos. Maybe someone else will find them usefull as well. This page has been accessed times since 01 Jun 2003.